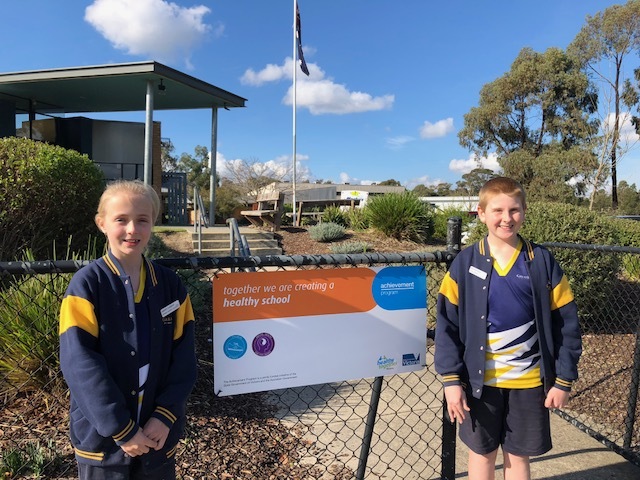 Great Ryrie Primary School has continued their work with our Health Promotion team, using the Victorian Government’s Achievement Program as a framework to create healthy environments, achieving a significant milestone by meeting best practice standards for the health priority area: Mental Health and Wellbeing. Take a whole of school approach to embed a Respectful Relationships Framework into their curriculum and educate students about the concept of gender equity and positive gender relations. Great Ryrie Primary School is now recognised as a Health Promoting School for Sun Protection, Physical Activity and Mental Health and Wellbeing. The School’s Health and Wellbeing Team will continue to work hard to achieve the state-wide benchmarks for the remaining health priority areas including Safe Environments, Alcohol and Other Drugs, Healthy Eating and Oral Health and Sexual Health and Wellbeing. Great Ryrie PS are striving to create a welcoming and inclusive physical environment which reflects the diversity and interests of their students, families and staff.